This talk was given by a representative of the famous gun makers, John Rigby & Co. and, during the presentation, members of the audience were invited to hold one of the most famous sporting rifles in the world, a .275 bolt-action rifle which was presented to Corbett in 1907 for shooting the single most prolific individual man-eater in history, the Tigress of Champarat. Corbett was an extraordinary man who preferred to hunt alone and was often called upon by distraught officials when a particularly dangerous animal was at large wreaking terror in rural communities. This most lethal of all the big cats was a tigress that was responsible for killing over 200 people in Nepal where troops were called in to kill it. They were unsuccessful but the activities of the soldiers resulted in the tigress leaving her territory and moving to neighbouring India where she continued her depredations killing more than 200 more. The tally of her known victims stands at 436 human beings. When I got home to Spain I had a chance to re-read Corbett´s own account of the shooting of this tigress. He found it by following the trail of blood from its most recent victim, and in this gristly search he came across shreds of torn clothing and body parts. I will not repeat what he wrote. His words are better than mine and give an insight into the man himself, his extraordinary courage and humility. Once the tigress was slain and her body returned to the village it had terrorised, Corbett was greeted like a hero. Many revered him as a holy man. But it was not his way to soak up the adulation. He was on his way again even before the celebrations took place. This was typical of Corbett. One of the victims of the tigress of Champarat was a young woman who had been carried away in full view of her sister. Showing amazing bravery, her sister had run after the animal offering herself in her sister´s place but to no avail. She had become so traumatised by this experience that she lost the ability to speak. Corbett had heard of this woman and visited her in the prelude to hunting down the Tigress that had taken her sister and, when he was leaving the area following the successful shooting, he visited this woman once again to tell her that her sister´s killer was dead. The woman called her husband and her children excitedly and asked them to come to see Corbett. Her children were amazed. This was the first time she had spoken for 12 months. 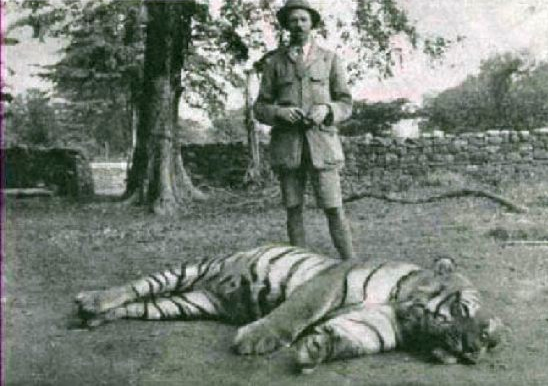 Jim Corbett and the Tigress of Champarat. This tigress had killed 436 people over several years in Nepal and India. When Corbett examined the carcass he discovered that two of the canine teeth had been badly damaged in a previous shooting and it is likely that this resulted in the animal switching to humans instead of her natural prey. Corbett found that other man-eaters had suffered injuries which compromised their ability to hunt. 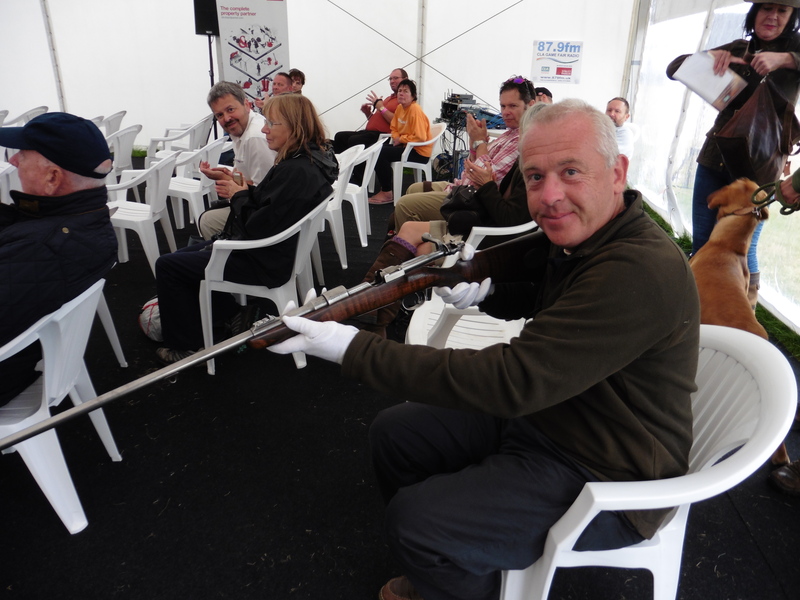 We were allowed to hold the famous rifle presented to Corbett in 1907 but had to put on special gloves to do so. Yes a very extraordinary man who has left a lasting legacy in the form of one of India’s most important National Parks. He also caught a few Mahseer in his time! He was quite unique. I can´t even imagine the kind of courage you would need to do what he did.